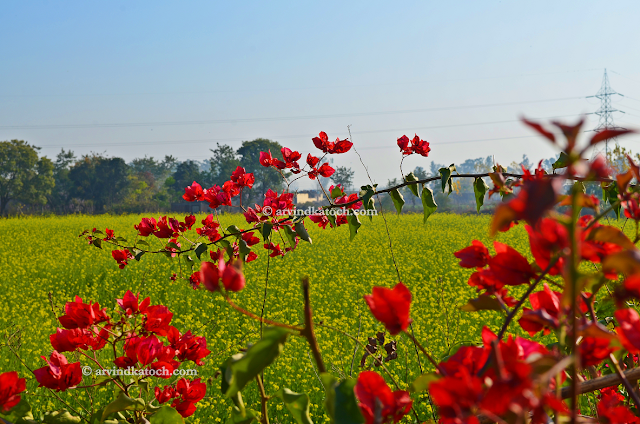 This is view of Beautiful Punjab Mustard Fields through Natural Red Flowers. This picture highlights beauty of Punjab Fields. Picture is taken near Ropar (Punjab) and it is taken with Nikon D 5100.